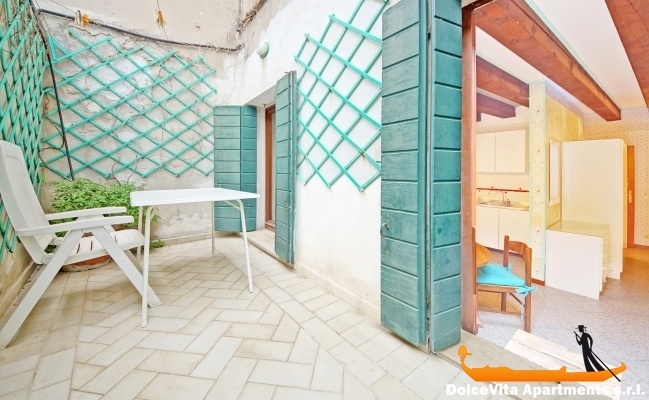 Apartment N. 207: It can accommodate up to 3 people, it is rented from 82 € per Night (not per person). 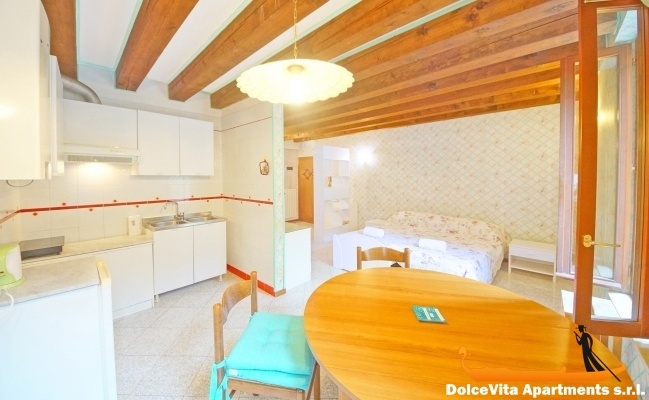 Venice Apartment for 3 People with Terrace: Nice studio in Cannaregio district, consisting of a wide open space with kitchenette and a double bed (a single foldable bed can be added); the bathroom has a bathtub. 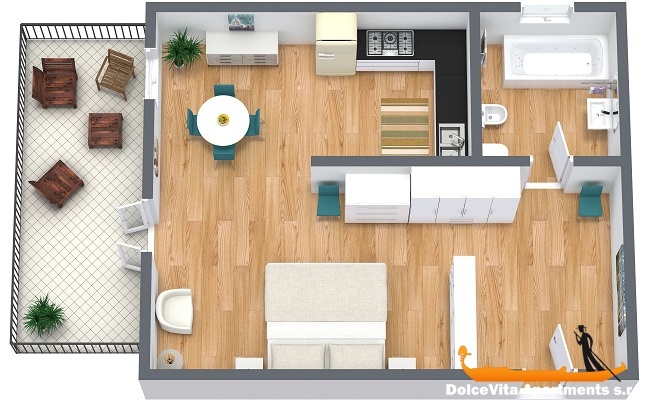 It can accommodate up to 3 people and has a nice terrace. The kitchenette is fully equipped and a cot is also available for families with small children. 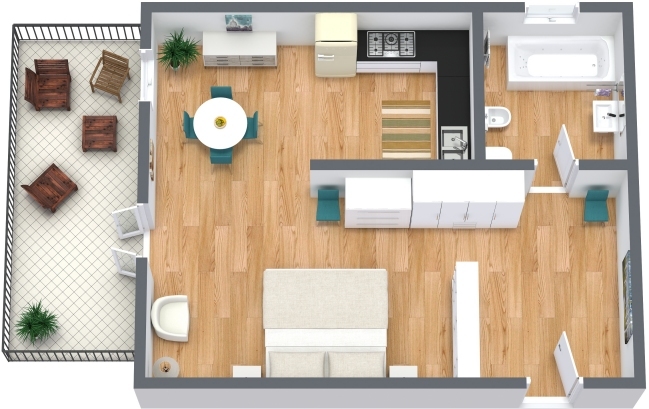 Inside the apartment you will also appreciate free Wi-Fi connection and heating system. Towels, blankets and sheets are included. Just 50 meters far from the Jewish Museum, the apartment is situated in a very well served position, both by shops (within 400 meters there are 3 supermarkets, many restaurants and bars) and by ferries. It is only two minutes walking from the terminal "Guglie".